ORCACOREBBGWO-VRR	| Write the first review! 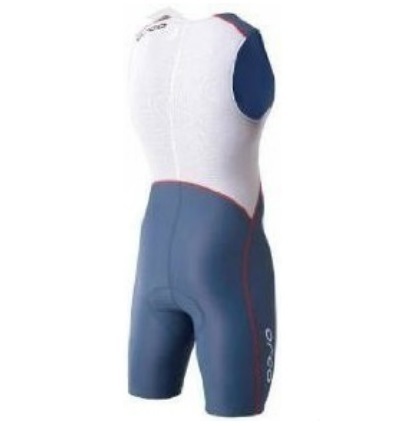 An unbeatable all-rounder at a great price, the Orca Core Basic Race suit men blue grey/white/orangeis an essential, comfortable, high-performing race suit that covers all your basic needs. The Core Basic utilizes the AquaGlide fabric technology. Orca Aquaglide has been re-engineered as a higher gauge fabric - a tighter knit, for lighter, more breathable comfort and increased durability. 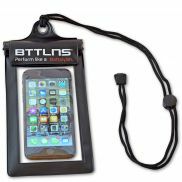 Water resistant qualities promote speed through the water, while minimising water absorption. Featuring Lycra inside a polyamide yarn for extra defence against and bacteria, AquaGlide keeps athletes cool, dry and comfortable. 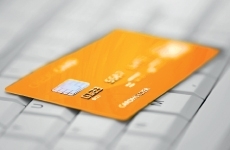 Your discount €40,-	(21% VAT included)	New! On stock! Sports cream (accessories): BodyGlide anti chafing stick chamois 42g ( €12,95)	i Keeps you on the bike longer by protecting your assets from the friction that causes saddle sores with a dry, invisible, non-greasy barrier that doesn't require frequent reapplication. With Allantoin - a natural, moisturizing plant extract. 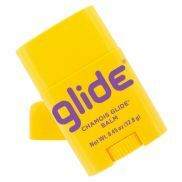 Body Glide Anti-Chafe Stick ( €13,95)	i Reduces friction, e.g. 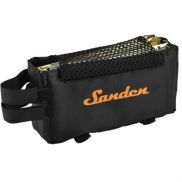 on feet and prevents arisal of blisters. Also skin irritation on thighs and bottoms will be decreased. Skin is supported in regenerating of chapped or cracked spots. Contains no oils, wipeable with soap. 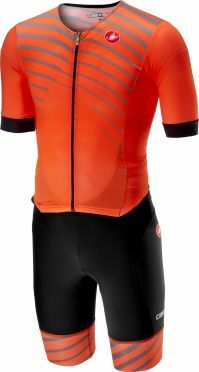 An unbeatable all-rounder at a great price, the Orca Core Basic Race Suit is an essential, comfortable, high-performing race suit that covers all your basic needs. 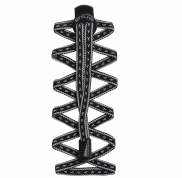 The Core Basic utilizes the AquaGlide fabric technology. Orca Aquaglide has been re-engineered as a higher gauge fabric - a tighter knit, for lighter, more breathable comfort and increased durability. 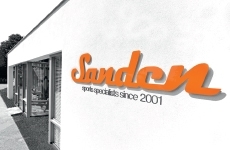 Water resistant qualities promote speed through the water, while minimising water absorption. Featuring Lycra inside a polyamide yarn for extra defence against and bacteria, AquaGlide keeps athletes cool, dry and comfortable. 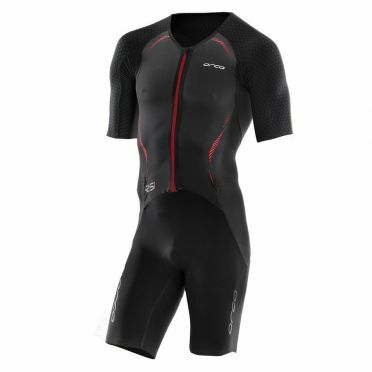 Be prepared and inspired with the new Arena ST front zip sleeveless trisuit black men. Inner resolve and endurance are crucial to long course triathlons, and so is the right trisuit. Created with advanced fibre technology for resilience and ideal muscle compression, you'll be hydrodynamic in the water and effortlessly powerful on land. Keep your focus on your race with a moisture-wicking chamois that doesn't absorb water or create extra bulk. Flatlock seams, a zipper garage and perfect fit reduce uncomfortable rubbing, and intelligent mesh panels offer optimal ventilation. 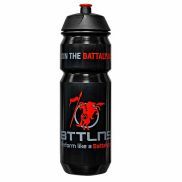 Dominate the race in style in this sleek design. 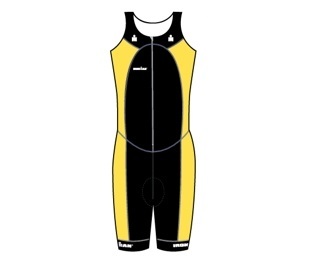 The Ironman trisuit front zip sleeveless multisport black/yellow men is a high quality skinsuit with a sleek design. 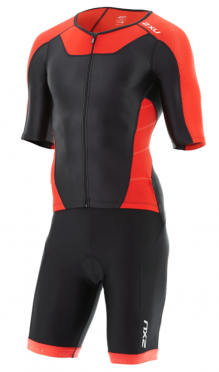 The trisuit has flatlock stitching, backzip, zipper pockets and silicone leg grippers. Thanks to the good padding the whole race feels as comfortable as possible. 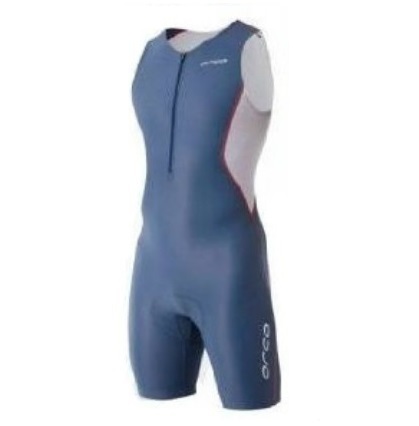 A good triathlon suit with a unknown sharp price!